Everyday I will bless You. Great is Yahweh, and greatly to be praised. This is what David does everyday in his devotion to God. 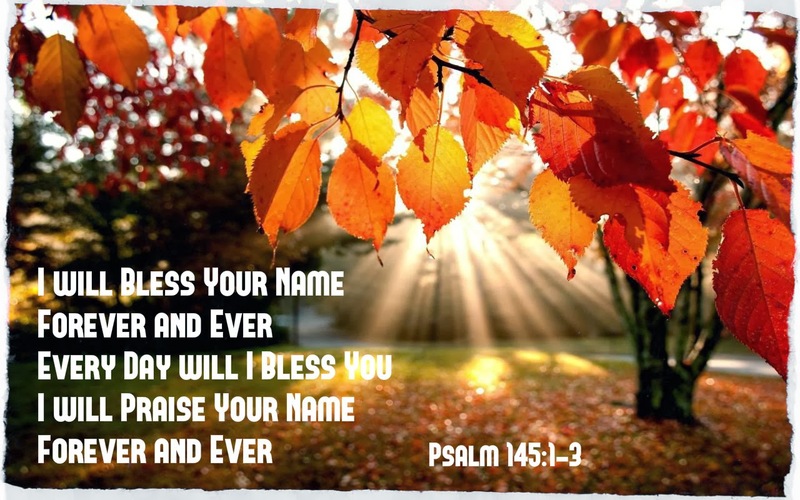 He blesses God’s Name every day. The Hebrew word for “bless” is בָרַךְ (Barak). This Hebrew word is related to another Hebrew word for “knee” (berek). To bless God has to do with worship, kneeling before God, bowing down before God expressing gratitude to Him and to His Name. Is this how we do our daily devotions? David overflows with praises for God and His Name because he experiences Yahweh God like Moses. The Shem of God is important, for in the Name, Yahweh, God chooses to reveal His Eternal Being and Character to us. The more we learn to bless and praise the Shem of God, the more we come to personally know God’s character. Let us also join Moses and David to taste God’s graciousness, compassion, goodness and faithfulness today, everyday and forever.